If your credit card debt has gotten out of control in 2018, plan to make paying down your credit card balances a priority in 2019. With the Federal Reserve likely to increase interest rates this year, credit card debt is only going to become more expensive. Set a specific goal for yourself, (for example: pay down 25% of your current debt). Focus on paying down the debt under the highest interest first to avoid income-draining interest rates. If you are struggling to make credit card payments, do not hesitate to reach out for help from Veitengruber Law. For a lot of people, student loan debt is a heavy financial burden. It’s a great idea to take 2019 as an opportunity to make a huge dent in your student loans. Start by reviewing your loans and determining which ones have the highest interest rates. Making extra payments on those loans will save you money on interest in the long run. Paying more than the minimum due each month is also a great way to make sure you are not spending more than you should on interest. If your interest rates are high or you have a lot of different loans, consolidating your loans may allow you to get a lower interest rate and create more manageable monthly payments. In 2018, 39% of Americans paid for an unexpected $1,000 expense with their savings. * Many Americans end up in debt trying to cover unexpected costs. Most experts recommend having at least six months’ worth of expenses in savings, but if you are starting an emergency fund from scratch, make your goal something you think is reasonable to achieve. Even having a few hundred dollars in savings is better than nothing. You may want to consider setting up automatic transfers from your paycheck into a savings account so you are not tempted to spend this money. The first step to improving your credit score is to know what it is in the first place. Signing up for free and reliable credit score monitoring through services like Experian or Mint will help you see how healthy your credit score is now. Good credit scores range from 700-749 and scores of 750 and higher are considered excellent. If your credit is not where you want it to be, make raising it your priority in 2019. Small things like paying your bills on time, keeping credit card balances low, and setting up automatic payments right after you’ve gotten paid can help reduce your debt and improve your score. Filing for your federal income tax returns as soon as you can is a great way to start the New Year. Not only will you get your refund faster, it can give you extra time to pay taxes you may owe or help you avoid needing a tax extension. If you are expecting a big life change in 2019—like returning to college or buying a home—filing early will help you get a head start on this paperwork. For instance, students can use the information on their 1040 form to apply for financial aid. Plus, the sooner you apply for your refund, the less likely it is that you will be the victim of tax return identity theft. Americans spend thousands of dollars a year eating out. A big way to save money in 2019 is to spend less time eating out and more time making your own food. Use 2019 as a chance to get more comfortable in the kitchen. Bring lunch from home, meal prep on the weekends, and spend some time researching quick-to-make meals. The more frequently you eat food bought from the grocery store, the less money you will spend—and the healthier you will be, too! It is important to start saving for retirement as soon as possible. There are many options for creating a savings plan for retirement and you can determine which one is best for your specific circumstances. Maybe your employer provides a 401(k) plan, but if not – you can open an IRA or, if you are self-employed, a Simplified Employee Pension IRA. If you already have a retirement plan in action, reassess the plan in 2019. Could you be saving more? Are you on track for retirement? While some home improvement projects will cost big and add value to your home, sometimes it’s the small projects that can have a big impact on your finances. Investing in energy-saving appliances in 2019 could allow you to save money every month on energy costs. Energystar.gov has recommendations for energy efficient products and other home improvement ideas to get you thinking about ways you can save money on energy this New Year. The average American spends over $4,000 a year on health care. Make your health a priority in 2019! Join the gym, focus on eating well, and take the time you need to relax. Go to the doctor at the first sign of illness instead of waiting until your health has been severely diminished. Preventative healthcare measures can save you big in the long run. After your NJ bankruptcy, a common concern is how to re-establish your credit score. The real challenge is creating new financial habits so you don’t find yourself back in the same hole all over again. At Veitengruber Law, our holistic approach to financial health means our job doesn’t end after the bankruptcy is closed. We work with you to repair your credit and create healthier financial habits. When rebuilding your credit subsequent to a bankruptcy discharge or reorganization, you will want to be very attentive to your credit report. Your creditors are supposed to report any discharged debts included in the bankruptcy to the credit bureaus. These reports should show a zero balance and include a note indicating the debt has been discharged. It is crucial to follow-up on this and ensure that all creditors are reporting to credit bureaus correctly. If discharged debt is being wrongly reported—as either a charge-off or an open account—late or missed payments can continue to show up on your credit. This can further damage your score and make it more difficult for you to get new credit. It can be tempting after bankruptcy to rush out and apply for a gaggle of credit cards or loans in an attempt to quickly repair credit. However, it is important to give your credit score time to rebound before applying for new credit. The impact of a bankruptcy is strongest in the first year after filing, although it can stay on (and affect) your credit report for up to ten years. Instead of rushing into opening several credit lines at once, be patient and take the time to research your best options. When you do start applying for credit cards, it is important to remember that not all credit cards are created equally. 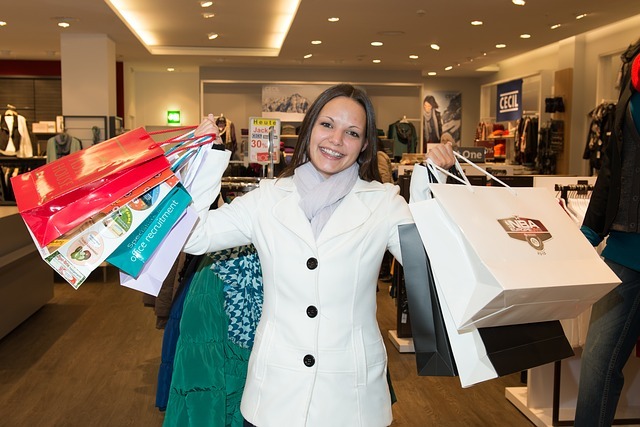 Some credit cards will be more helpful to those rebuilding post-bankruptcy. A secured card, for instance, allows you to deposit cash as collateral up front to create a line of credit. That way, you are not able to charge more than your initial deposit. With any card you choose, it is important to read the fine print of your terms to make sure the card will work in your favor. Many unethical “credit repair companies” make big promises about performing miracles to improve credit scores, but they rarely ever deliver the results promised. These companies rely on misinformation to scam those that don’t know much about how credit works. Some of their tactics may even be illegal. Keep in mind that if something seems too good to be true, it probably is. Ultimately, when it comes to rebuilding your credit after bankruptcy, you need to go back to the basics. What bad habits caused you to file for bankruptcy in the first place? An unflinching assessment of your spending habits will help you determine which factors led to the bankruptcy and determine where you need to make changes. Figure out what your credit-bingeing triggers are and work toward setting spending limits for yourself. Simple things like making on time payments, keeping debt to a minimum, and sticking to a healthy budget are excellent foundations of any financial strategy and will get you on the road to financial health quickly. You’ve been through the hard-fought financial battle of bankruptcy and come out victorious on the other side. Now is the time to think positively about your financial future. Rebuilding your credit after bankruptcy takes time and patience, but you can use the knowledge and financial savvy you’ve learned along the way to move forward to a brighter future. Veitengruber Law is here to help. 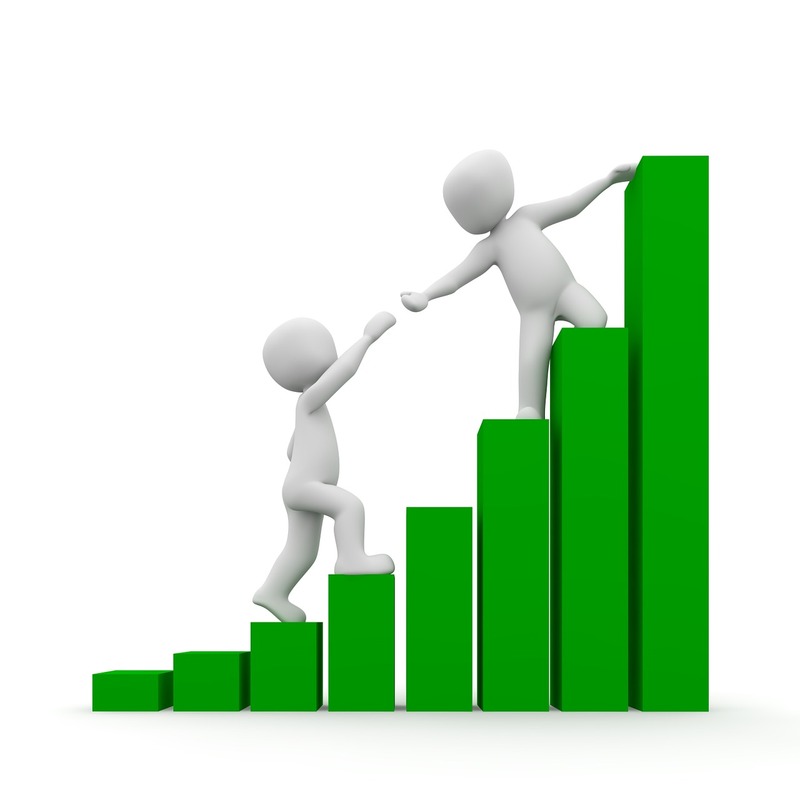 We are skilled in advising clients and creating easy-to-follow strategies to rebuild credit. Call for your free consultation today. Wallet Full of Plastic: Do You Need Credit Counseling? 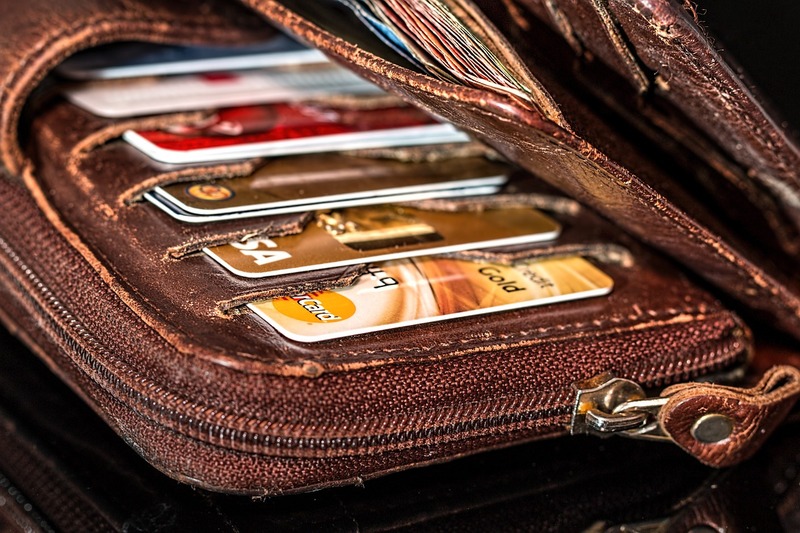 Many people enjoy the flexibility of credit card spending, but the more credit cards you have, the easier it is to develop destructive spending habits. The convenience and ease of credit spending can be a slippery slope to overspending and unmanageable debt. 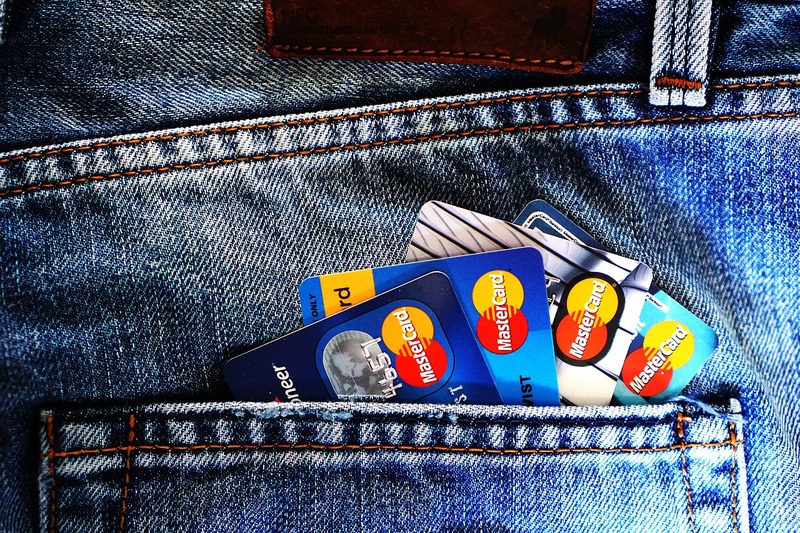 If you find yourself with a wallet filled with plastic, it might be time to seek credit counseling to get expert advice on debt management and credit repair. At Veitengruber Law, our credit counseling team can work with you to improve your individual financial situation and help you gain control over your money and credit. Credit counseling is a great way to receive expert financial advice and support to help manage your debt and organize your finances. It is important to make sure you are getting advice from true experts and not financial scammers. Our legal team provides debt management and credit repair services to get you back on the road to financial health. Many of our clients developed unhealthy spending habits over time, slowly building debt until suddenly finding themselves overwhelmed with payments. Out of control credit card debt can seem overwhelming, but you don’t have to face it alone. At Veitengruber Law, we understand how the credit industry works. We strive to instill in our clients a holistic understanding of their finances and how the credit system works. Our team can give you the tools and insider advice to take control of your credit. In your individualized consultation, we will provide easy-to-follow strategies to rebuild your credit, even after major financial set-backs. Our attorneys can also help you establish a realistic and manageable budget by looking at your monthly bills, expenses, debts, and income and devising the best plan forward. We can give you the knowledge to negotiate better terms on your credit cards to make your payments more impactful. You may be surprised by how much a few budget changes can massively improve your financial situation. It is important to note that you don’t have to be in dire straits to seek credit counseling. Maybe you have a decent credit score, but making payments on time has recently become a struggle. Don’t wait to address your financial situation until debt collectors are knocking at your door. If your current budget isn’t comfortable or you find yourself struggling to make your payments, it might be time to reassess your financial situation. If you are feeling overwhelmed, be proactive about your debt and address your problems before they become emergencies. Credit counseling can help you avoid future financial woes like bankruptcy. IMPORTANT FACT: Credit counseling and debt management are excellent alternatives to bankruptcy and can often even prevent it. Even novice consumers can benefit from credit counseling. Seeking advice from experts when you first start living on your own is a great way to make sure you are starting on the right foot as you make plans for your financial future. We offer individualized counseling to help you understand how credit scores work, financially healthy ways to build credit, and how to make the most out of your credit right now. Establishing healthy spending habits and formulating a budget early on will set you on the path for a healthy financial future. It’s our goal to help you become a stronger financial consumer. From helping clients out of extreme credit card debt via NJ bankruptcy to keeping homeowners in their homes via mortgage modification, and even simply offering advice to struggling novice consumers, we can get you back on track. We care about your financial future. There are many reasons hard-working people fall behind on paying bills. In the short-term, it might seem like missing a payment or two is not going to affect you in the long run, but missing a credit card payment could be a bigger deal than you may think. A payment becomes late if it is received after the designated due date or if the payment received is less than the minimum amount due listed on the billing statement. The actions creditors take to respond to late payments can affect you for months, or even years, to come. At Veitengruber Law, we use our expert knowledge of debt management to help you get on top of your finances so that making late payments stops becoming a problem for you. Once a payment is considered late, your creditor will charge a late payment fee on your next billing statement. Late fees typically range from $15-$35 depending on the late fee policy specific to your credit card company. If this is the first time you have been late in your payment, you may be able to get your creditors to agree to waive the late fee under an accidental late payment. If not waived, a recurring late fee will be charged every month a payment is late or does not meet the minimum payment requirement. After 60 days, creditors will likely increase the interest rate on your account. Most credit card policies indicate a penalty rate which is the highest interest rate for your credit card. A higher interest rate will increase your monthly finance charges, not only making it more expensive to carry a balance between statements, but also making it likely that it will take you much longer to pay off your balance. You may also be barred from using your card rewards, or you may lose those awards completely. After six months of on-time payments, your creditor is required to return your account to your pre-penalty interest rate. However, this is where it is important to know the specifics of your policy. Some credit card companies include a policy to continue to charge purchases made during the penalty period under the higher penalty rate. The biggest effect of late or missed payments, and what you most want to avoid, is losing points to your credit score or getting a bad mark on your credit report. After a payment is 30 days late, it will appear on your credit report. Once an entry is added to your credit report, it can remain there for up to 7 years. Missed payments are added to your credit report in 30 day increments until the account reaches 180 days delinquent. At this point, creditors will charge-off your account, meaning the credit card company writes-off this account as a loss. A charge-off does not mean the debt goes away. Often, the creditor will turn over the debt to a collections agency and the charge-off will appear as a negative mark on your credit report. Payment history makes up 35% of your credit score—meaning late payments can take a serious toll on your credit score and make it difficult to get approved for new credit in the future. Generally, the better your credit, the more points you are likely to lose after a late payment. To avoid damage to your credit score or your credit report, you can make the full payment plus the late fee before the first 30 days are up. There are many options to manage your debt before a late payment is counted against you. Our experienced team is there to help you explore all your options. Veitengruber Law offers comprehensive debt solutions specific to your unique circumstances. Our legal team understands the stress and anxiety of unmanageable debt. We provide an all-inclusive analysis of your debt and offer knowledgeable solutions to your specific problems. Our goal is to give you the tools for a brighter financial future. Contact us today to get your free debt relief evaluation. Cash is quickly becoming a thing of the past, being replaced by plastic and virtual payment methods. Credit cards are now everyone’s new best friend. Along with a credit card comes a credit score and credit report, which leads to the first thing you may not have known. 1. Credit scores and credit reports are not the same thing. Yes, they are two different things. Credit reports include information such as how frequently you apply for credit, data about your credit accounts, your payment history, a few public records, debt collection and a few other related points. Credit scores, on the other hand, are calculated based on the data found on your credit report. 2. Specific employers check credit scores. Did you know that applying for a job in certain industries will most likely cause your credit score to be checked by your potential employer? These industries/jobs include the armed forces, Transportation Security Administrators (TSA), law enforcement, financial planners/accountants, mortgage loan originators, and, believe it or not, parking booth operators. 3. You could catch a criminal! By keeping a close eye on your credit report, you can see if someone runs up a massive credit card bill or draws out credit in your name. If there is an unanticipated change, contact your bank or lender immediately. You may be able to stop a scammer from stealing someone else’s credit information. 4. Identity theft can affect your credit score. Over 8 million people are victims of identify theft each year in the United States. Believe it or not, hundreds of millions of hours are spent each year trying to find the problem, halt the fraud, and wipe credit reports clean. This is yet another reason why it’s crucial to keep a close watch on any changes in your credit report. 5. Seven is the magic number. 6. Maxing out is not as fun as it sounds. Did you know that maxing out your credit card can lower your credit score anywhere between 10 to 45 points? Aim to keep your debt to income ratio between 28 – 33% (this means that your monthly debt and spending is no more than 33% of your total monthly income). 7. Closing out an account is actually a bad idea. Are you aware that closing credit card accounts can damage your credit score? Even if you only use the card once or twice per year, keep the credit card active. Your credit score will be more positively influenced the longer you keep the account open. A longer credit history, which determines 15% of your credit score, makes you look more responsible, and will boost your score. There are five factors that go into formulating your credit score, also known as your FICO score. Your payment history makes up about 35% of your score. This is why it’s so important to make all of your monthly payments on time. Responsible for 30% of your score is how much you owe, so don’t leave debt hanging on your card. Your credit history length is responsible for 15% of your credit number. Accounting for 10% of your total credit score is your last application for credit (how long ago it was, what type of credit and the amount). The final 10% is calculated based on the types of credit you use. 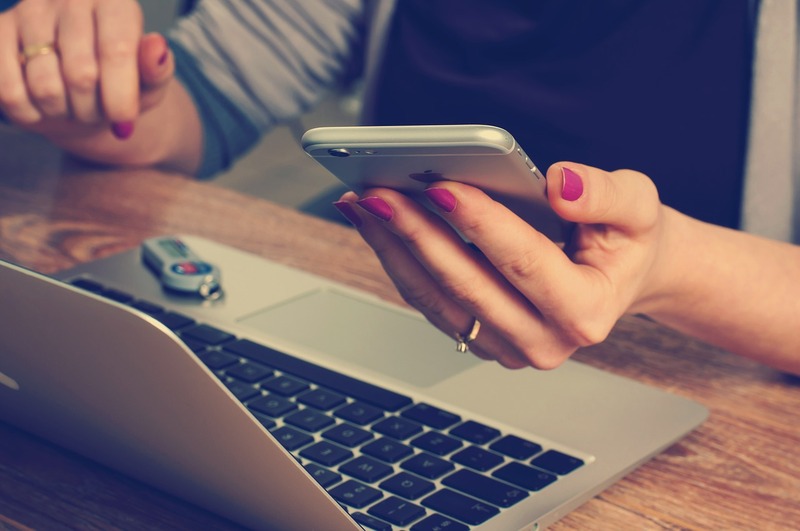 If you have more questions about your credit score and/or report, please check out our many other blog posts on the topic. Happy reading! Just as a little too much partying on New Year’s Eve can leave you with a painful hangover — a little too much spending during the holiday season can result in a financial hangover. Unfortunately, the latter can’t be cured by drinking plenty of water and getting some extra rest. When your out-of-town loved ones have gone back home and the decorations are starting to come down, credit card debt and crumbling finances can be a cold, unwelcome reality check. While we want our holiday memories to last a lifetime, holiday debt is something we’d really rather not think about. Avoiding the truth about how much you really spent on gifts for all and sundry won’t make the problem disappear; what it will do is snowball the interest and late fees. Tackling excessive debt is anything but fun, but it can’t be avoided. Begin by looking over all of your banking statements and making sure that you agree with all listed charges. Then, make a list of your debts from smallest to largest (based on total amount) to get an idea of how much you’re in the hole for. Next, create a list of their interest rates from highest to lowest. Once you have a clear picture of what you’re dealing with, choose either the Snowball or Avalanche debt repayment strategy and start working on the plan of your choice ASAP. Did you end the holiday season with scads of decorations, gifts, or other items that were never even opened? Perhaps you bought gifts for a friend’s significant other only to discover that they broke up in November. Maybe you lost self-control and brought home that ridiculously overpriced holiday decoration you’ve coveted for months. Do not hesitate — GO NOW, this minute, to return any still-in-box, tagged items. If you are able to get your money back – put it to good use by making an extra credit card payment before you have a chance to buy something else you don’t need. Without a receipt? Use store credit to buy something you’d purchase anyway, like home goods or diapers. If you have assessed your budget and concluded that there isn’t enough money left over each month to pay off your credit card debt, then reducing your monthly expenses is a must. Chances are, you have at least some recurring monthly payments that could be eliminated or decreased. Try calling your cell phone provider or cable company to see if they have any New Year’s offers or plans that would be cheaper than what you’re currently paying. Be sure to mention that you’ll have to change providers if they can’t lower your monthly bill. Look around for a new (lower) quote on home and car insurance. Keep searching until you find a company that has the coverage you need and is willing to work with your budget. Lastly, assess any larger loans you’re currently repaying (mortgage, home equity, education). Consider refinancing or modifying some or all of those more substantial loans. Every dollar you decrease your monthly payments by can go directly toward paying off credit card debt. Until you have that credit card debt completely paid off, we strongly recommend putting yourself and your family members on a “no credit diet.” When you purchase anything, use debit cards, cash or write a check (ancient, but still better than spending money you don’t have). Using these forms of payment will avoid racking up any more credit card debt. Everyone has some expenses that could be considered “flexible” – grocery bills, clothing, entertainment, recreation, and more. Determine what items in your budget are ‘must-haves’ and what you or your family could go without. In short: Evaluate your spending habits and start making better choices until they become habits. Example: When you’re tempted to buy that five dollar cup of coffee, think about how quickly your coffee habit could put a dent in your debt. 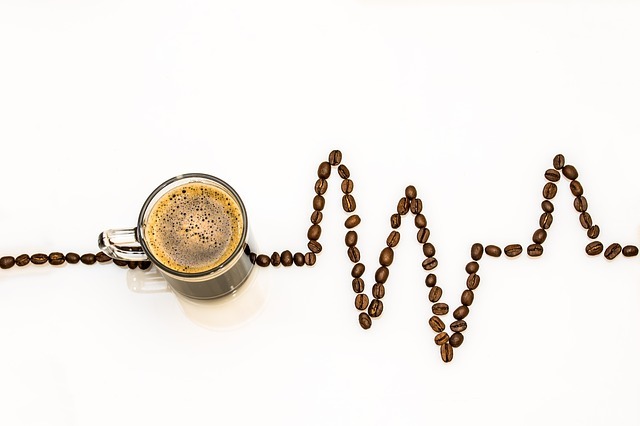 Bonus: Getting off caffeine (or reducing your intake) is good for your blood pressure! 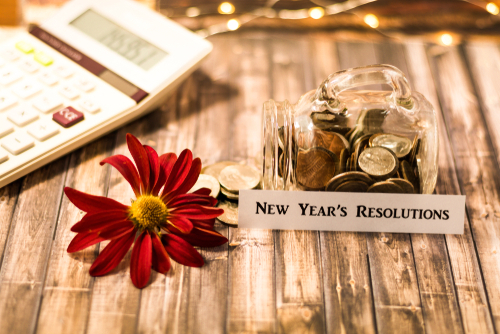 We’ve given you a few ways to start lowering that holiday debt that you had so much fun charging last year. Take the tips that work for you and add your own debt pay-down tricks into the mix. One caveat: If your holiday debt goes far beyond just the recent holidays, and you’re finding your monthly minimums are more than you can handle, regular debt pay-down strategies probably won’t get you very far. That doesn’t mean you’re out of luck. The best part about reaching out to us for help? The first meeting’s on us. If you have been sued by a collections company or “debt collector,” and the debt truly belongs to you, the most important piece of advice is: Do not ignore the lawsuit. With that being said, people in your position naturally wonder if they have options. Being sued for a debt that perhaps you thought had been forgiven, or that had reached its statute of limitations, can come as a surprise. Many times we put these things out of our minds because it is easier than focusing on it and worrying about it. Unfortunately, by putting a large debt that you failed to repay out of your mind, you are now faced with a lawsuit that asks you for the entire lump sum that you owe. This sum may even be larger than you remember due to late fees, attorney fees for the collections agency, and interest. Is filing for bankruptcy your only option? While it is impossible to give a blanket answer to this question (as everyone’s case will vary wildly) – the general answer is that no, bankruptcy is not your only option when you are being sued for an unpaid debt. There are several things your NJ bankruptcy attorney will ask when you meet with him or her. Is this your only significant debt? What is your income? Can you repay this debt if it is broken down into payments? If you have other debts along with the one in the lawsuit, and your income doesn’t allow you to get ahead on paying them back, it may be that bankruptcy is right for your situation. Can you negotiate with the debt collector? On the flip side, if the debt in this lawsuit is literally your only debt (outside of your mortgage and car payment), and your income is steady, you might want to have your bankruptcy/debt resolution attorney negotiate with the collection company. For example, if your unpaid debt amount is $15,000, you may be able to talk the debt collector down several thousand if you pay in a lump sum. It is also possible to negotiate a payment schedule if you wish to avoid bankruptcy. Is collection defense an option for you? 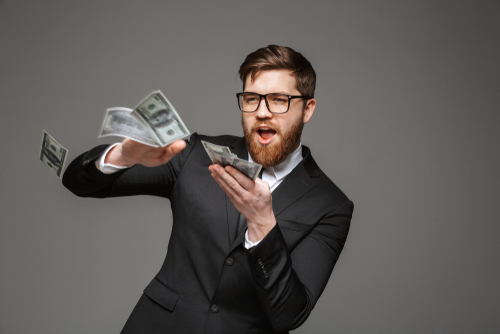 Collection defense is only appropriate if the debt in the lawsuit doesn’t belong to you, or if the lawsuit contains errors. So, if you are being sued in error, then collection defense is an option, but the reason many people opt for a different resolution is that collection defense representation can get expensive. Regardless of how much you pay your attorney, you can still end up losing the case, even if the debt collector is in the wrong. This is because NJ law doesn’t require strict proof of signed agreements when it comes to credit cards. Therefore, you may end up owing hefty attorney’s fees and still have to repay the debt in full when all is said and done if you go this route. The only way to know for sure which direction you should go is to sit down with a NJ bankruptcy lawyer or debt resolution attorney. Often, bankruptcy attorneys also specialize in credit repair and debt resolution strategies other than bankruptcy, so look for an attorney who is well-versed in all areas in which you need assistance. 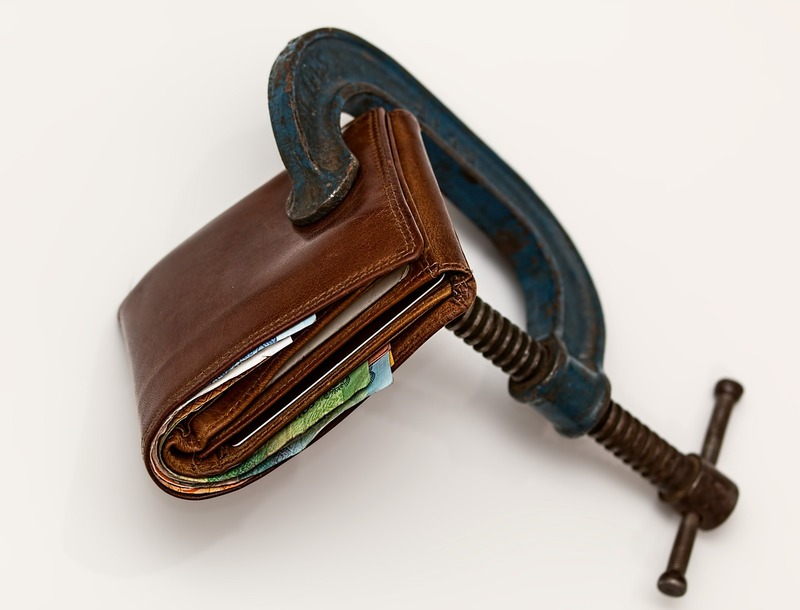 Should I Pay my Debts or Hire a Bankruptcy Attorney? When you are face to face with a huge pile of unpaid debt, you might wonder if it would be more cost effective to put a pay-off plan into effect or to make an appointment with a bankruptcy attorney. Naturally, both options are going to cost money – but there are a few questions you can ask yourself to help you determine which option will end up costing you less in the end. What type(s) of debt do you have? Do you foresee your income increasing in the near future? 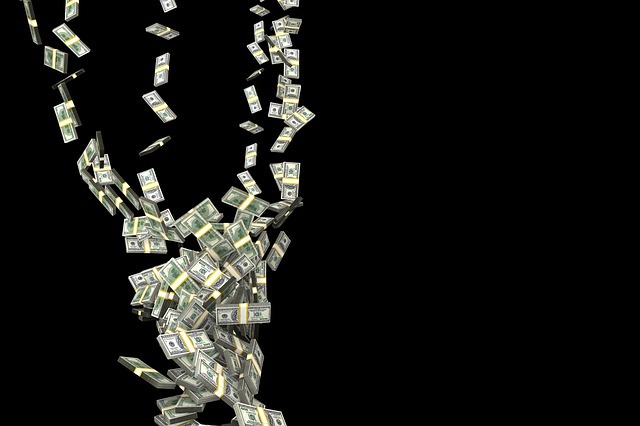 Is there a potential financial windfall in your near future (like a work bonus)? How long do you want to spend paying off your debt? Are you ok with losing credit score points (temporarily)? If you are currently not even (or barely) able to make the minimum payment each month on sky high credit card debt, you’re looking at a very long road ahead and you will have paid a huge amount of interest at the end of your debt pay-off journey. In this case, filing for bankruptcy looks like it would be a better decision, because your bankruptcy attorney’s fees are likely to cost you less than how much you’ll be paying in interest over the years. Also, by filing for bankruptcy, you can rid yourself of your burdensome debts as soon as you case is approved for a discharge. This will allow you to start a savings account, put your child through college, or otherwise focus more of your income in a way that you weren’t able to before. The bankruptcy route will knock your credit score down for awhile, but if you’re working with a bankruptcy attorney in NJ who knows what he’s doing, you’ll be counseled on how to potentially bring your score even higher than it is now. This can usually happen in 12-18 months after a bankruptcy discharge if you follow the recommendations given. On the flip side of the coin – maybe you have more debt than you’d like to have but you’re not drowning in debt. This is not an uncommon situation to be in. If your income is substantial enough to handle your monthly cost of living plus (give or take) double your minimum payments on at least one of your debts, you may be a good candidate for avoiding bankruptcy. It’s impossible to give you a completely straight answer to this question, as mentioned earlier, because everyone’s financial situation is so unique. The above general tips are just that – general – and you should base your final decision off of the in-person advice you get from an experienced NJ bankruptcy attorney. He will be able to comb through your debts and assets in order to properly guide you toward making the choice that will best fit your finances. Get in touch with a reputable New Jersey bankruptcy attorney today – most offer free consultations, so you have nothing to lose but debt! My Ex Is Using My Credit Cards after Our Divorce! 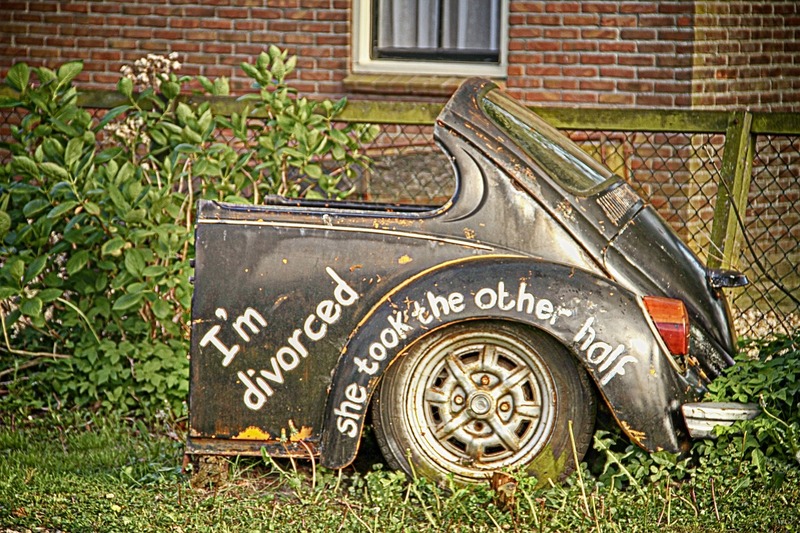 Unfortunately, divorce almost always brings with it some degree of contention. Regardless of what the former couple disagrees about, it usually comes down to a “he said, she said” type of dispute. Sometimes, however, there is legal recourse for post-divorce behavior that simply crosses the line. Take, for example, a woman who, upon setting out to clean up her credit report and boost her score, discovered that her former husband had been using her credit cards quite liberally well after they split up. While, yes, there can be a bit of ambiguity when it comes to using shared cards in the time period after a married couple decides to part but before the Final Judgement of Divorce has been entered, the law speaks loud and clear after the divorce is final. Any use of your ex-husband or ex-wife’s credit cards (that are in his or her name only) after you divorce is specifically disallowed. In fact, it’s against the law and reeks of identity theft. Do some married couples use each other’s credit cards while they’re married? They do – even if the credit card in question is not a shared card and only officially “belongs” to one party. This is legal if the non-card-holder is named as an authorized user on the account. Example: Husband goes out of town for the weekend and leaves his credit card for his wife to use for shopping. As long as she is an authorized user on his account, this is perfectly legal. However, she must sign her own name on any receipts as opposed to forging her husband’s signature. Even if you’re currently happily married, it is generally considered unwise for you to utilize your spouse’s credit card (that is in his or her name only) if you aren’t listed as a user of the credit card. Some couples do it anyway because most merchants assume that the cardholder gave permission to the spouse to use their card. Simply calling your credit card company and adding your spouse as an authorized user is easy to do and can eliminate any potential problems. After you are officially divorced from your spouse and are holding the Final Judgement of Divorce in your hands, there should be exactly zero further use of the other party’s credit card. This is true even if you were listed as an authorized user while you were married. Should your spouse forget to remove your name from their authorized users list, this does not in any way mean that you may continue using your ex’s credit after divorce. An ex-spouse utilizing your credit card falls under the category of a criminal offense: identity theft. It is no different than a complete stranger stealing and using your credit card(s). If this has happened to you, the next step you should take is filing a police report and sending a copy of the police report to the credit reporting agencies. Working with a credit repair specialist will help you get the debt removed from your card and you may even be successful in making your ex pay for the charges. If your credit score is very low (under 500), you may feel like you’ll never be approved for a mortgage. Owning your own home is a life-long dream for so many people, and luckily, it’s not one that you have to give up. You will, however, have some work to do before you will be granted a mortgage loan. Anyone who is looking to buy a house in the relatively near future should take a good look at their credit report(s). The higher your credit score is when you’re approved, the better your mortgage rate will be. This can save you hundreds of dollars on your monthly mortgage payment. First, request a copy of your most recent reports from each of the three main credit reporting bureaus: Equifax, Experian and TransUnion. As an aside, it’s wise to take a look at your credit report once a year on a regular schedule even if you’re not in the home-buying market. Once you have a copy of your credit reports, the first thing on your agenda should be scanning it with a fine-tooth comb to check for any errors. This is the easiest way to give your credit score a quick boost. If you find any errors (debts that are being reported incorrectly, satisfied debts that continue to show up as unpaid, payments marked as late when you paid on time), filing a dispute with the agency whose report contains the error(s) is the next step. Working with a New Jersey credit repair attorney is a good idea if you have errors and a lot of negative marks on your credit report. Your attorney will negotiate with your creditors, requesting forgiveness for lesser offenses like late payments. This “goodwill letter” is frequently an effective approach to jump-starting your credit repair process. Once you’re sure that any errors have been appropriately dealt with, the following behaviors will give your credit score further boosts to get it up to your “goal range.” Your NJ credit repair attorney will know how much your score needs to increase in order for you to get pre-approved for a mortgage loan. Even better, if you can make an extra payment each month on your credit cards with the highest balances, you’ll be able to zap your debts faster. In addition to making more than one payment per month, create a plan to pay down all of your existing debt until it’s gone. The lower your credit utilization ratio, the better. Related to lowering your credit utilization ratio, you can also request a higher credit limit on one or two of your credit cards. Be careful with this tip, though, and only do this if you have the self-control to keep yourself from charging even more purchases. If you have more than one card with the same lender, keeping your oldest card active and transferring balances from newer cards (and then closing the newer cards), the overall age of your debt will be older, which looks good to credit bureaus. If you are diligent about reigning in your spending, paying all of your bills early or on time, and taking the steps listed above, it is possible to boost your credit score 50-100 points in six months to one year. Your results will be dependent on your starting credit score and the type and number of dings currently on your credit report. Before you know it, you’ll be walking out of your lender’s office with a mortgage pre-approval letter!